In his petition, the former Bihar chief minister said he was 71 years of age and suffering from diabetes, blood pressure and other ailments. 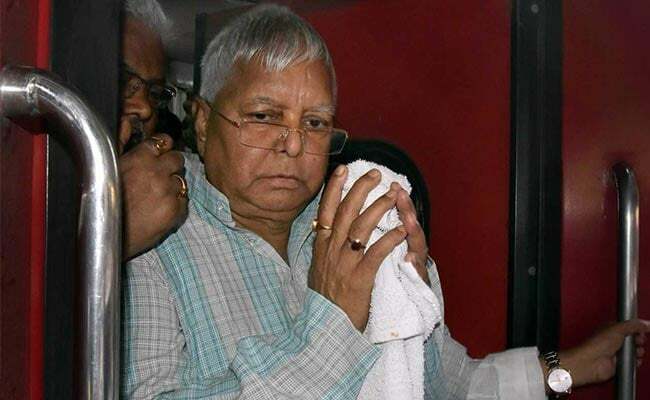 Jailed RJD chief Lalu Prasad on Tuesday filed a petition in the Jharkhand High Court for bail in three fodder scam cases on the ground of age and ailments. In his petition, the former Bihar chief minister said he was 71 years of age and suffering from diabetes, blood pressure and other ailments. He said he had got bail in one of the four fodder scam cases, therefore bail be allowed in the rest of the cases. Mr Prasad was convicted in fodder scam cases pertaining to fraudulent withdrawal of money from Deoghar, Dumka and Chaibasa. These were two cases and he secured bail in one.